Google's chief release engineer Jean-Baptiste Queru just announced via the Android Building group that version 4.1.2 of Android is being released to the Android Open Source Project (AOSP) today. The release follows Android 4.1.1, which was the final version of Jelly Bean, and is marked as minor. The build number, which we spotted in the logs yesterday, is JZO54K, while the AOSP tags are android-4.1.2_r1 and jb-mr0-release. It's also a good time to bring up the fact that the LG Nexus prototype that we saw yesterday was also running 4.1.2. Today's announcement seems to add further credibility to that story. 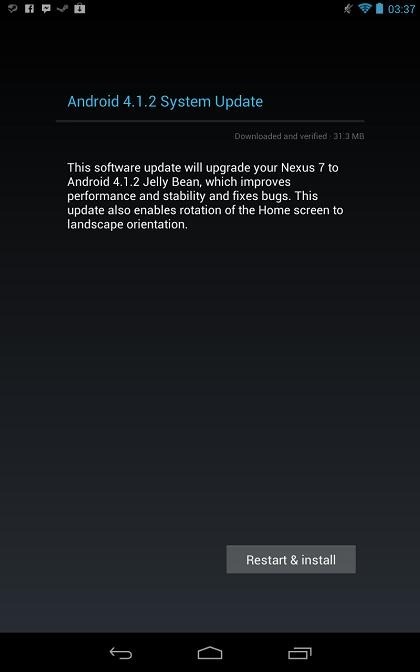 Update #1: 4.1.2 has already started rolling out to the Nexus 7, though mine doesn't see it yet. 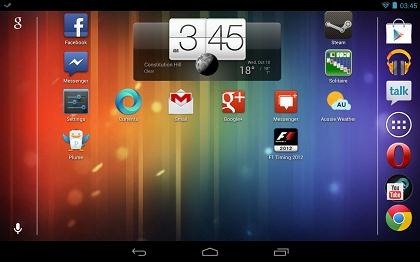 Update #3: Per the update notification on the Nexus 7, Android 4.1.2 "improves performance and stability and fixes bugs." Not too helpful, but it's a start. Update #4: Looks like we finally have launcher landscape mode on the Nexus 7! Update #5: Flash 4.1.2 on the Nexus 7 manually if you haven't gotten your update yet. Update #6: Issue 34212: On Jelly Bean, failed to connect to WPA enterprise wireless is fixed in 4.1.2.